Following the cancellation of the Child Trust Fund in October 2010 parents wanting to invest in their child’s future have been anxiously waiting to see what would replace the CTF as a vehicle to allow a child to invest money on a tax free basis. The answer has now been delivered in the form of the Junior ISA. The Junior ISA is equivalent in many ways to the adult version, being tax free and allowing for both cash and stocks and shares versions. 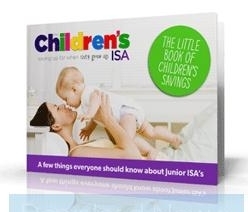 Given that the Child Trust Fund is no more there are many benefits to be had from the Junior ISA. Investing is straightforward, with no requirement to switch providers each year as with the adult version and flexible, as it is possible to switch from a cash to an investment ISA and back again as often as needed to keep pace with the markets and maximise investments. The Junior ISA allows parents, or indeed anyone with an interest in the child’s future, to invest up to £3,720 per year on behalf of a child. The savings and the resulting profits are entirely tax free and offer good yields. Fidelity International, a potential Junior ISA provider, calculates that if parents invest £3,000 per annum from birth until their child’s eighteenth birthday, a total cash investment of £54,000, could return over £107,000 based on 5% growth. Remember also that, as with the standard ISA, the annual investment limit will increase each year in line with inflation therefore the actual final yield is likely to be higher. Think about that amount for a moment. Adjusted for inflation that could put your child through university without debt at the the other side, buy his or her first home mortgage free or help your child set up his or her own business. Just like the Child Trust Fund, any money invested in a Junior ISA will be “locked” until your child reaches eighteen years of age, at which point only your child will be able to access the funds. This means that in difficult financial times, which most of us will experience at some point while our children are growing up, there will no risk of being tempted to dip into the child’s savings which can have damaging long term effects on the final yield. On the occasion of the child’s eighteenth birthday the Junior ISA switches to an adult ISA. Your child is then free to continue investing or to withdraw some or all of the funds. In the unthinkable event that your child dies or contracts a terminal illness before reaching adulthood it is anticipated there will be provision for early withdrawal. With everybody seemingly wanting everything right now these days (lotteries and gambling websites are booming, young people seem to see promotion at work as a right rather than a privilege to be striven for) and with the easy access to credit that characterised the economy of the last decade it seems saving has become something of a lost art. People seem to find it difficult to see the long term benefits of saving just a little each month, particularly when they are young and first start earning their own money. By setting up a Junior ISA for your children you will be able to demonstrate the benefits in terms they can easily understand. Thy will be encouraged to continue what you have started at an early enough age to make a really significant difference even they receive only a modest income. This culture can then passed on to future generations which can only be good news for the future economy.